Beautiful Ganesh statue hand made in Nepal and gold plated. Ganesh is the Hindu god of wisdom and learning, he is also the remover of obstacles. 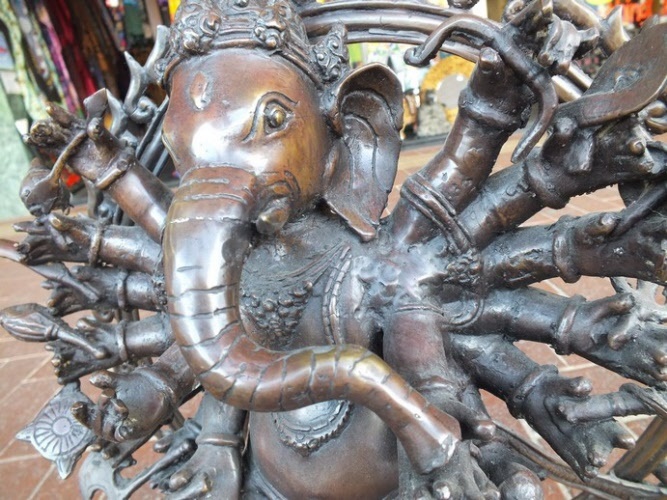 Worshiped by Hindus and some Buddhists. 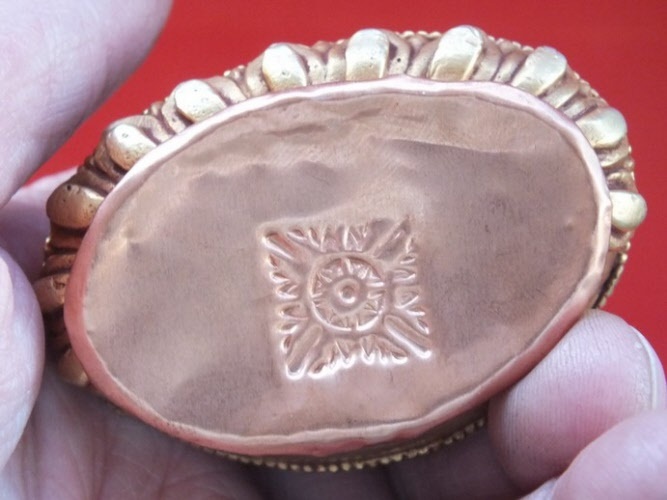 Has removable plate underneath with double dorje on. 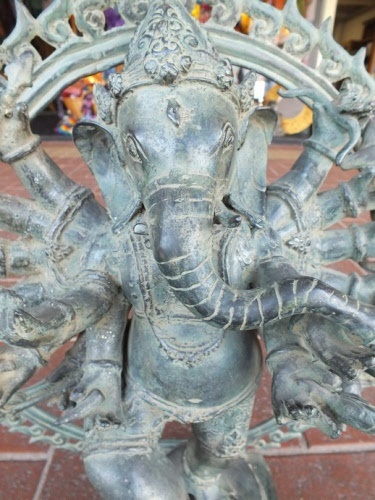 / So you can insert prayers / mantras if you wish. 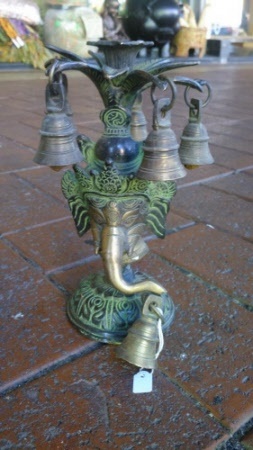 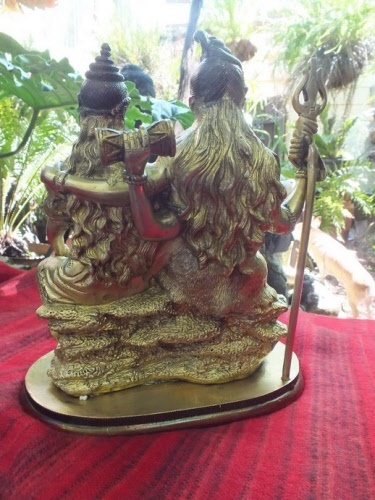 This is a very unique item, Ganesh under a palm tree with a candle holder above, surrounded by five bells, and Ganesh is holding another bell in his trunk. 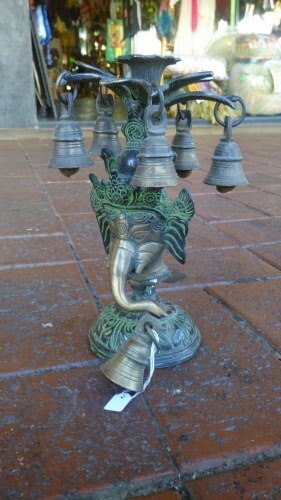 Made from quality brass with an antique finish. 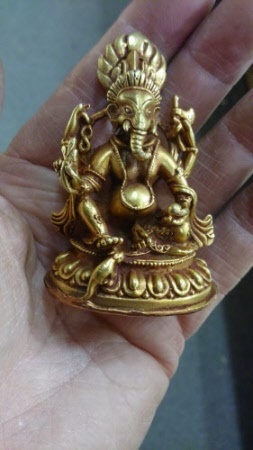 Brass can last a lifetime. This is a one off item. 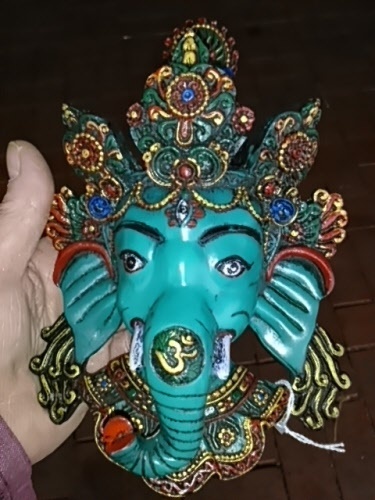 We only have the one available. 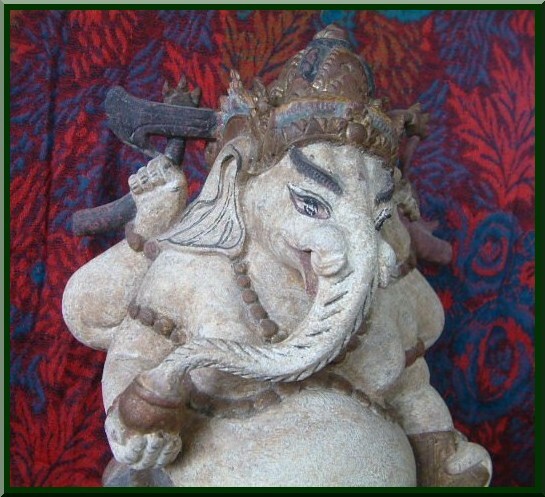 Ganesh is one of the main Hindu gods. 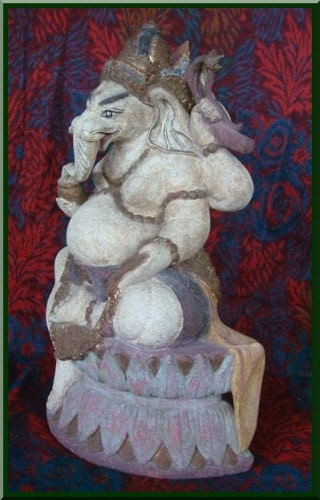 He is half human and half elephant. 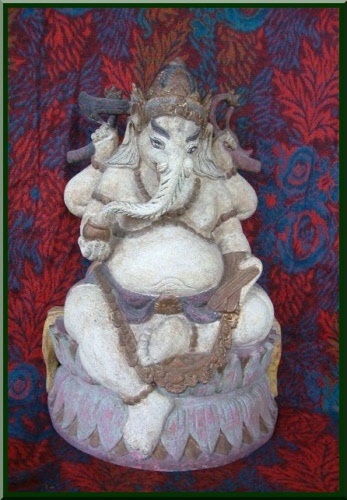 Known as the God of wisdom and learning he is also known as the remover of obstacles. 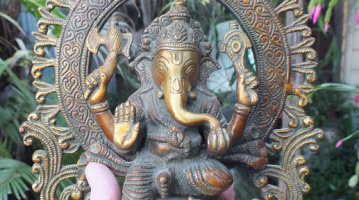 Hindus give Ganesh to someone who is moving into a new home or starting a new business. 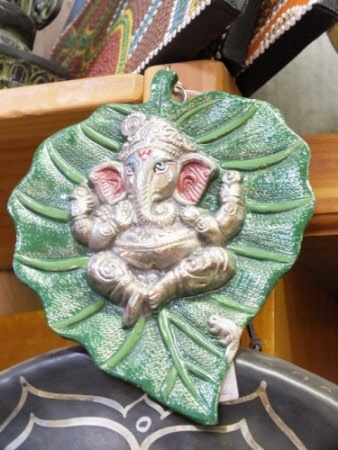 You don't need a reason to give Ganesh or just have him in your own home. 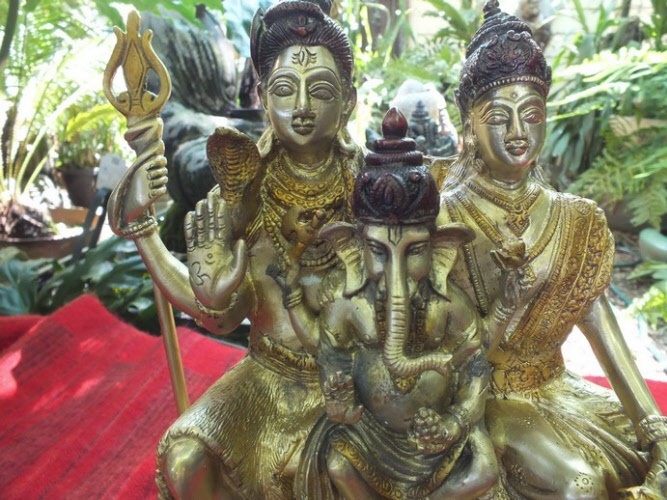 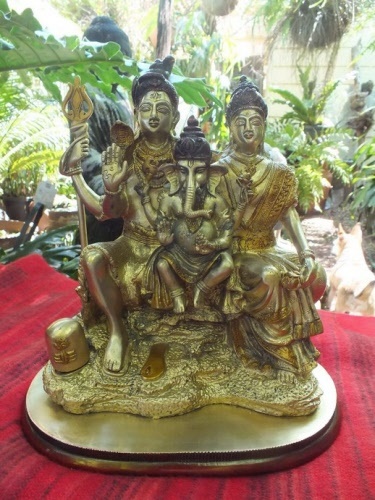 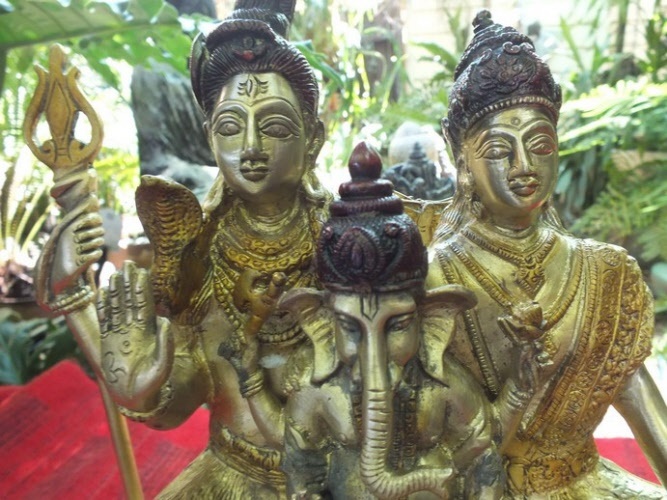 A stunning statue of Ganesh and his parents, Shiva and Pavarti. 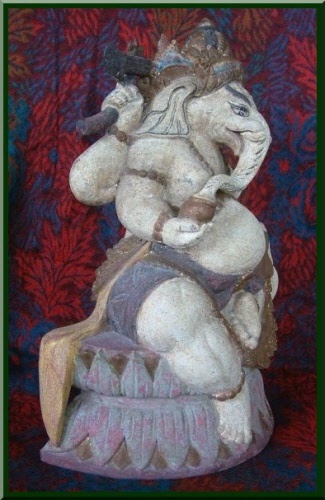 This is a one of a kind made for us by master craftsmen and women in India. 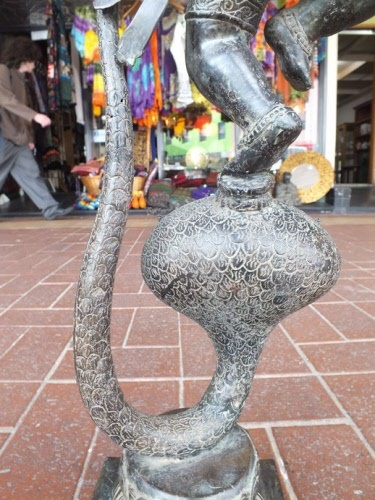 Excellent detail. 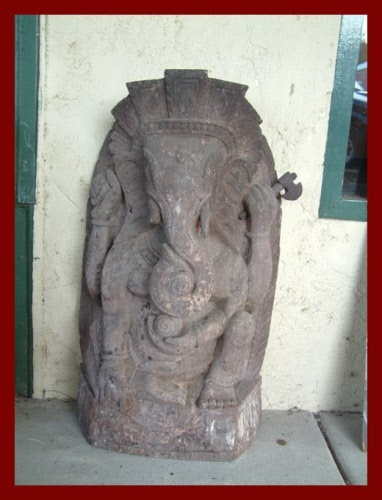 Weighs just under 8 kilograms. 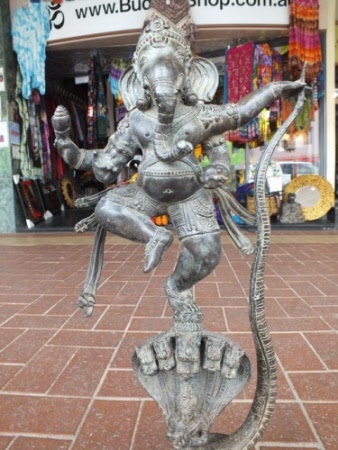 Fastway courier delivery to Melbourne, Sydney or Brisbane only $20.00 with insurance. For other areas I will send a quote upon receiving order. 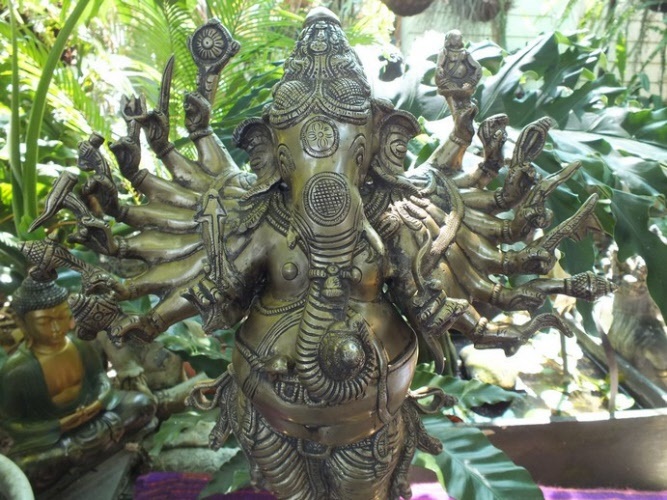 This brilliant brass-statue of the elephant god Lord Ganesha, exceptional in its lustre and magnificent in its beauty, represents him, though not without some variations, in his Kshipra Ganapati manifestation, the red hued Lord quick in acting upon a prayer. Though not one of the earliest eight forms that texts perceived as prevailing over eight demons, symbolic of eight demonic natures in man or eight basic human weaknesses, Kshipra Ganapati is one of his thirty-two forms under which the early Puranas classified him. Inclusive of the early eight these thirty-two forms related to various other aspects, especially his own nature, his effectiveness, power over disruptive forces, quickness to act in granting a boon or accomplishing a prayer, and overall effectiveness as the ultimate divine power. 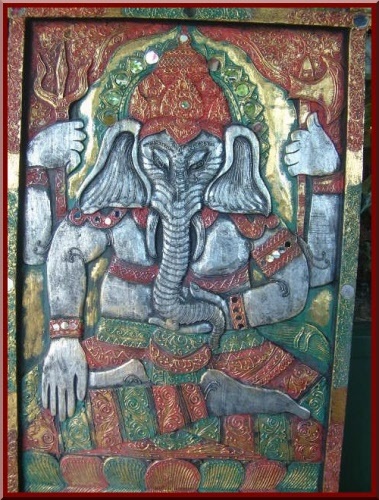 This Brass image of Ganapati,is Vira Ganapati / the "Valiant Warrior" one of his initial classical 34 forms, which early texts, the eights century Maudgalya Purana in special, have identified or conceived. Though exceptionally beautiful and endowed with divine aura, Vira Ganapati, primarily a votive form conceived as standing and in readiness to proceed to a target, is broadly a fierce form having a commanding posture. 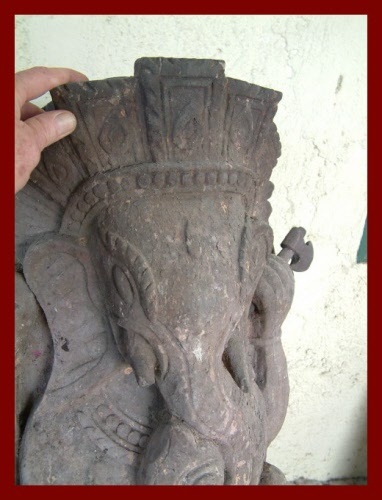 In plasticity, precision, minuteness of details, especially in designing his 'antariya' - the lower wear, and ornaments and crown, and in creating desired effect, especially the majestic bearing, the artefact is simply unparalleled. 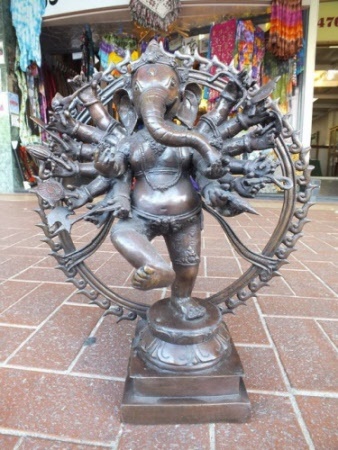 With sixteen arms stretched on both sides the image acquires circular form and is thus suggestive of cosmic dimensions which Lord Ganesh pervades. 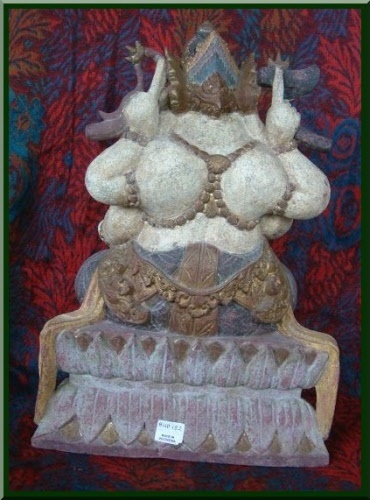 from the Ubud region of Bali - this area has been the Artistic hub of the Island of Bali for many hundreds of years. 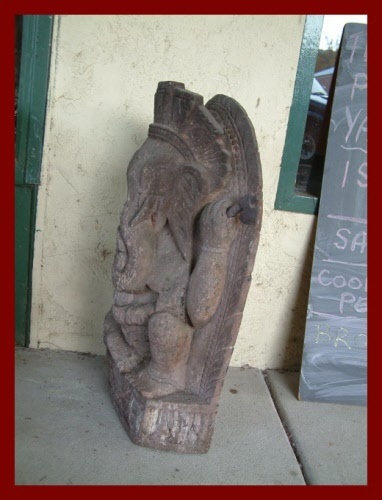 or get a quote to your area. 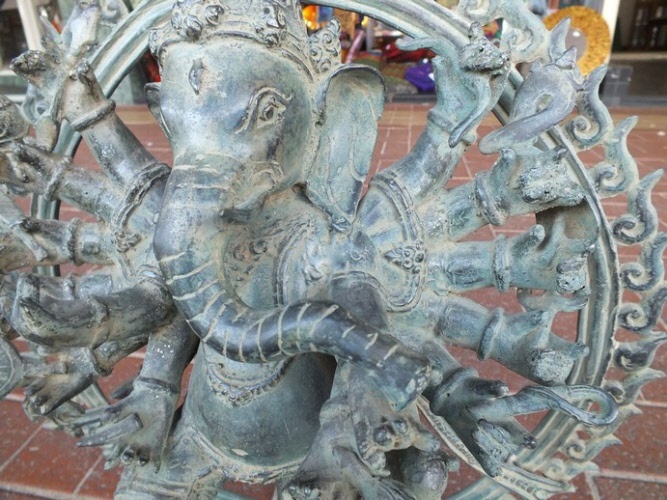 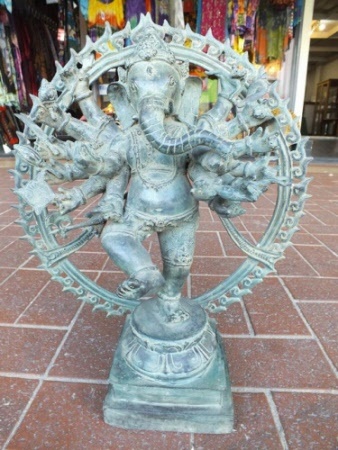 This is the first statue of Ganesh I have ever seen with Ganesh dancing in a ring, just like Nataraja / Shiva in a Ring. 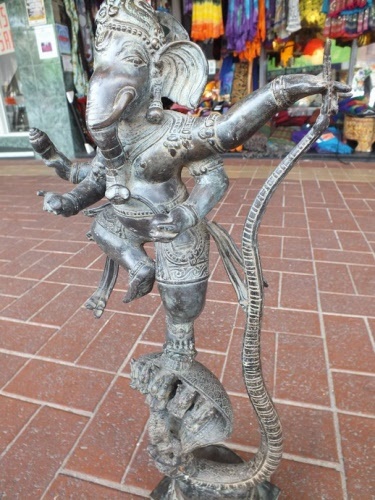 Not too sure of any information about this style of Ganesha but will do some research. 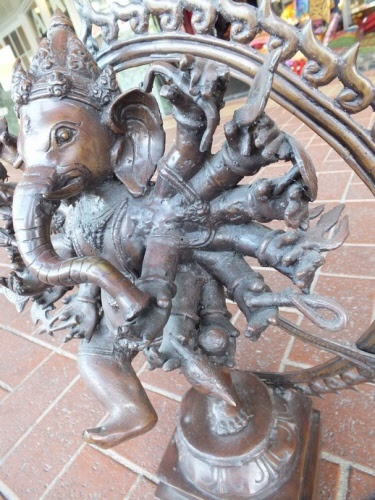 Very unusual form of Ganesh with Ganesh dancing in a ring, just like Nataraja / Shiva in a Ring. 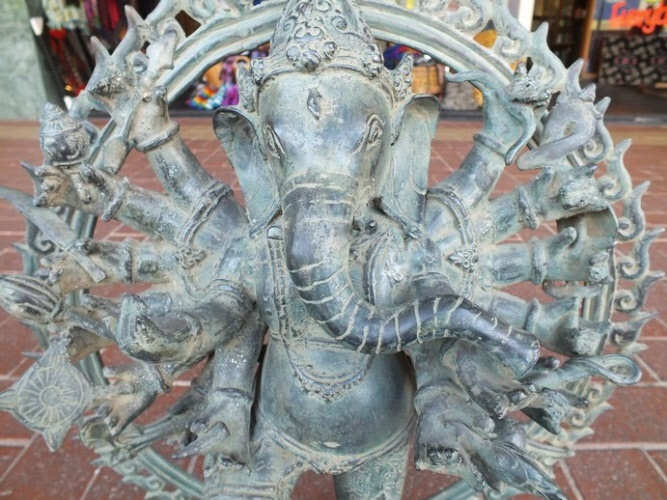 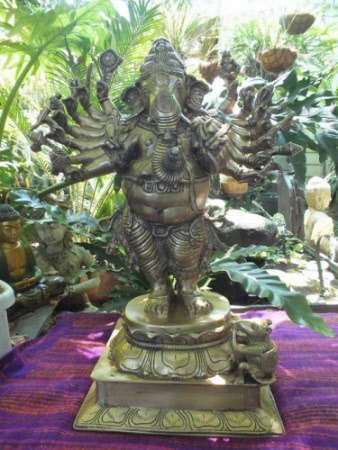 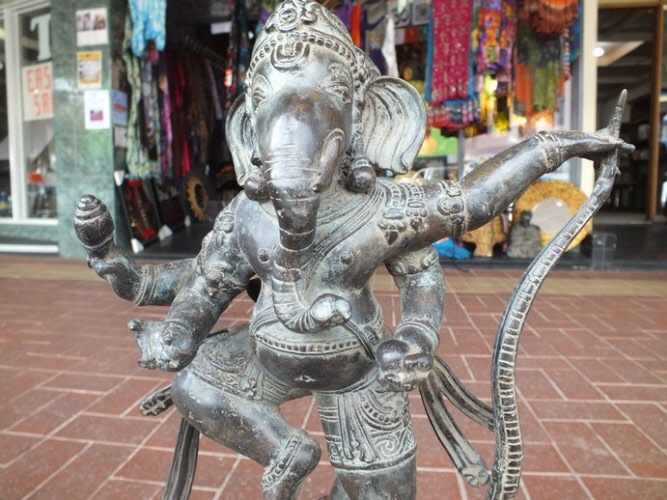 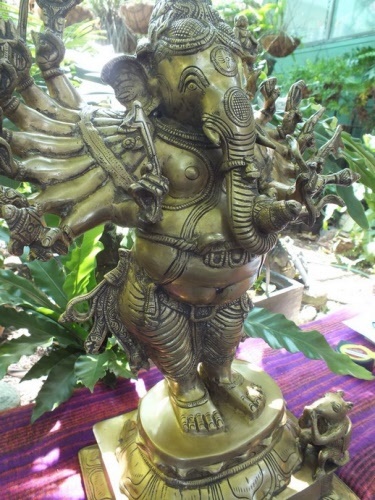 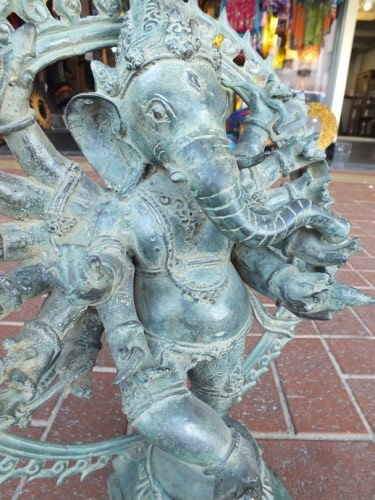 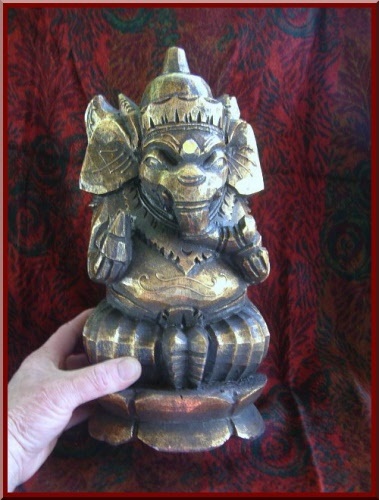 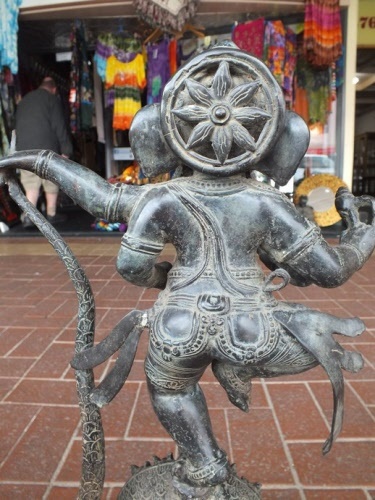 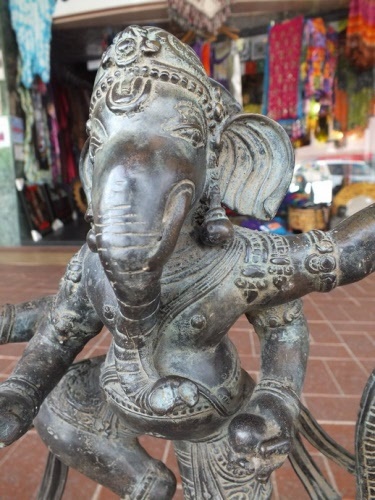 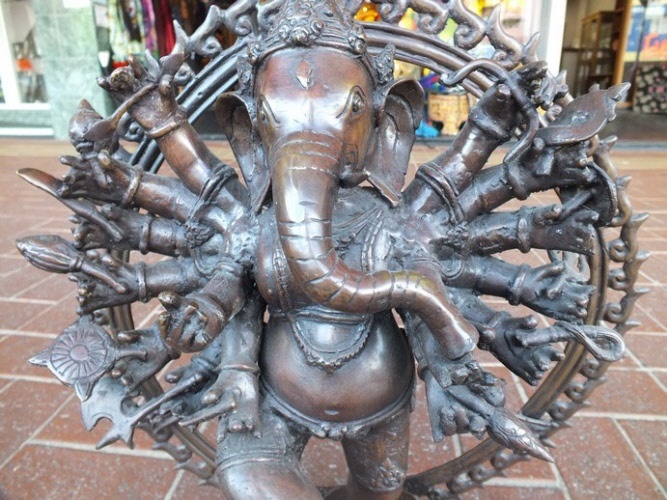 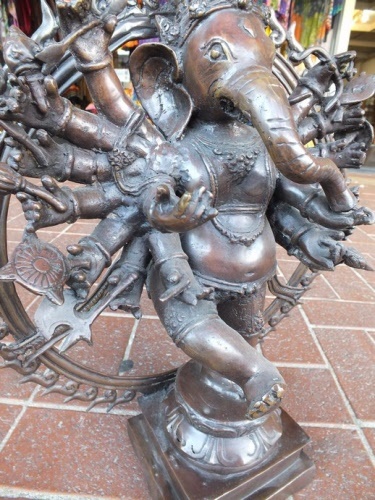 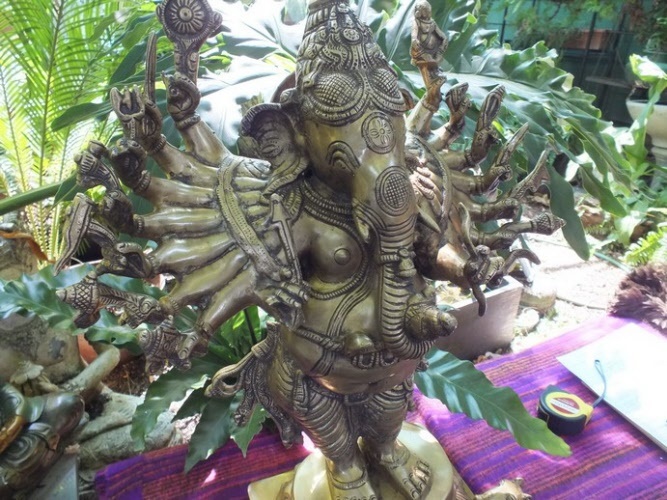 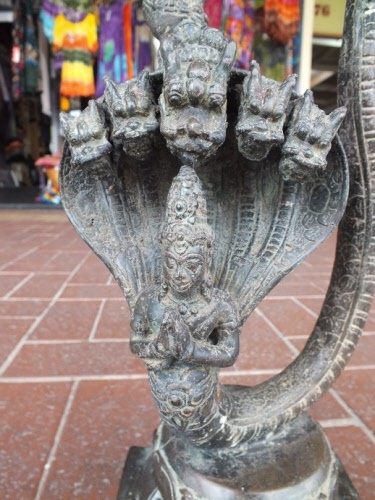 Unusual Ganesha statue cast in bronze. 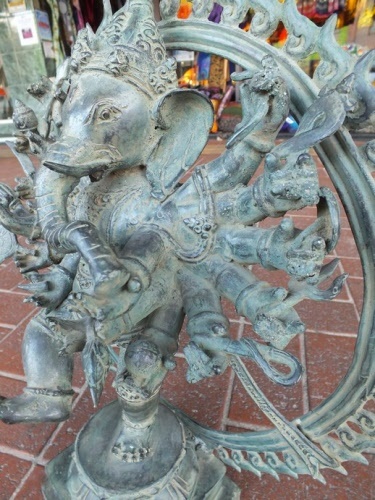 Here we see Ganesh dancing on a snake man (seven headed naga) while holding his tail in left hand. 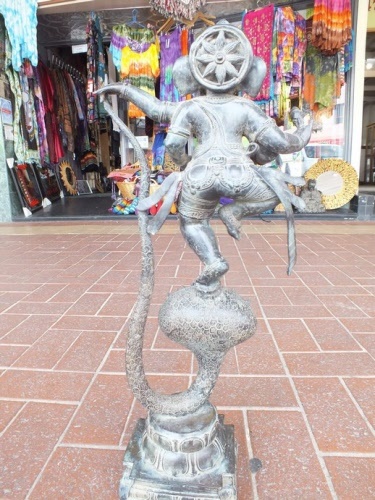 This is the first time we have seen a statue such as this. 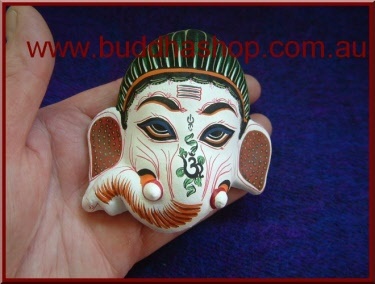 Hand carved from one piece of wood in Nepal. 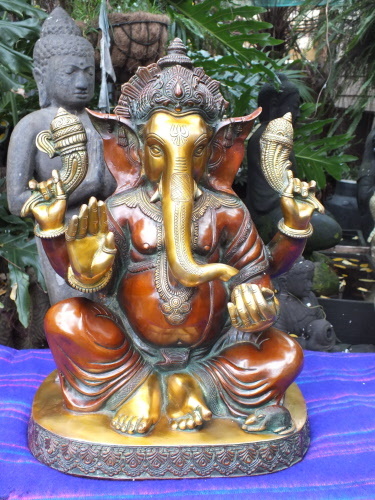 This beautiful Ganesh statue was created by the master carvers on the tropical island paradise of Bali, Indonesia. 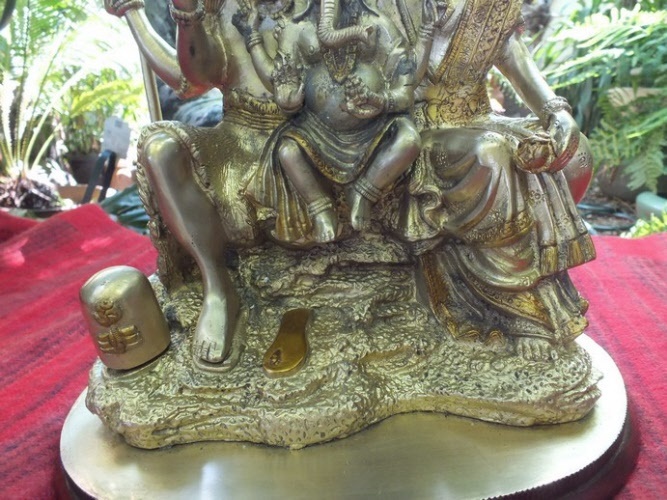 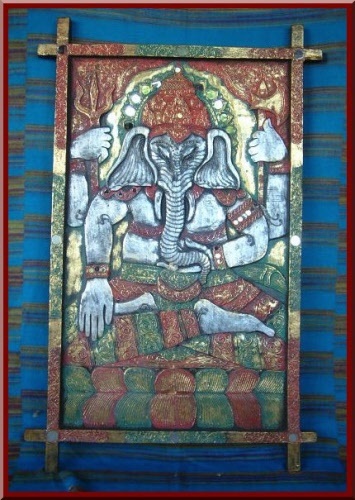 Ganesh Statue Carved from wood - decorated with Antique Gold finish and Mirror.